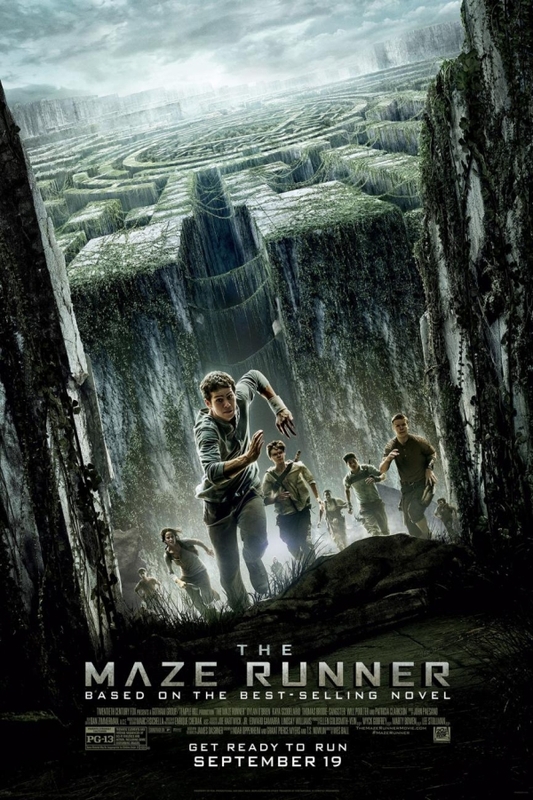 The Maze Runner font here refers to the font used in the poster of The Maze Runner, which is a 2014 American science fiction action thriller movie that follows sixteen-year-old Thomas who awakens in a rusty elevator with no memory, only to learn he’s been delivered to the middle of an intricate maze, along with a slew of other boys. The font used for the movie title in the poster is very similar to a square sans serif named Agency Wide Bold. Originally designed by Morris Fuller Benton in 1932 as a lone titling font, Agency was then added with lowercase letters and a bold version by David Berlow in 1990. Later Font Bureau developed it into a major series offering five weights in five widths. You can view more details about it here. In addition to The Maze Runner, FB Agency typeface is also used in the following logos, movie posters or album covers etc., including: Warm Bodies, Bridge of Spies, Echelon Conspiracy, Rogue Nation, Dredd, Creatures of the Night (Hardwell), Lucy (film), Europa Report, S.W.A.T., NBA 2K16 Logo, Race to Nowhere, Syndicate, The 5th Wave, Train To Busan, Going the Distance.